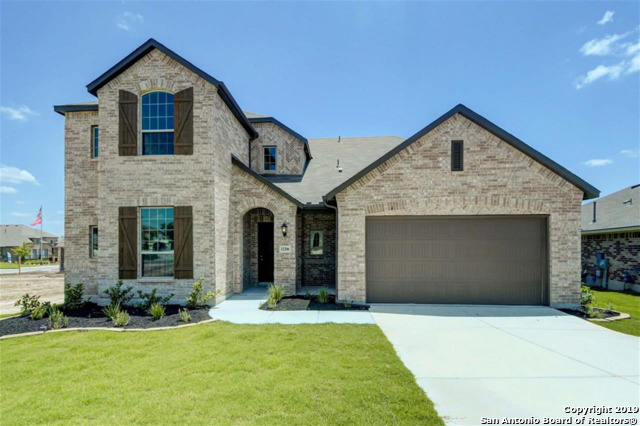 All Davis Ranch homes currently listed for sale in San Antonio as of 04/20/2019 are shown below. You can change the search criteria at any time by pressing the 'Change Search' button below. "MLS# 1371943 - Built by Highland Homes - June completion! ~ Lovely one story home with high ceilings and tall windows giving abundance of natural light. Kitchen features 42 inch cabinets, large island with granite countertops. Master bedroom with extended bay window, garden tub & walk-in shower. 8' interior doors throughout home. This energy efficient home will have a tankless water heater. 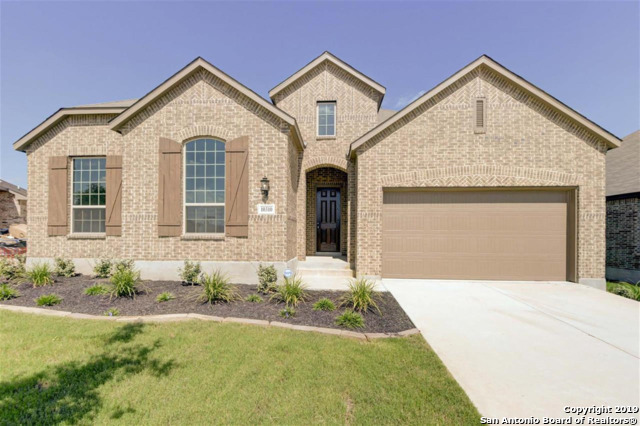 Extended outdoor living with full sod and sprinkler..."
"The two-story Mooreville features an open first floor with large kitchen island and first floor guest bedroom including a full bath. Additional features include upgraded tile throguhout first floor, SS Built-In Appliances, 42 cabinets at kitchen, a bay window at the Owner's Suite, and fully landscaped with irrigation system. Home includes the backbone for the Pulte Smart Home. Please contact onsite sales counselor for more details." 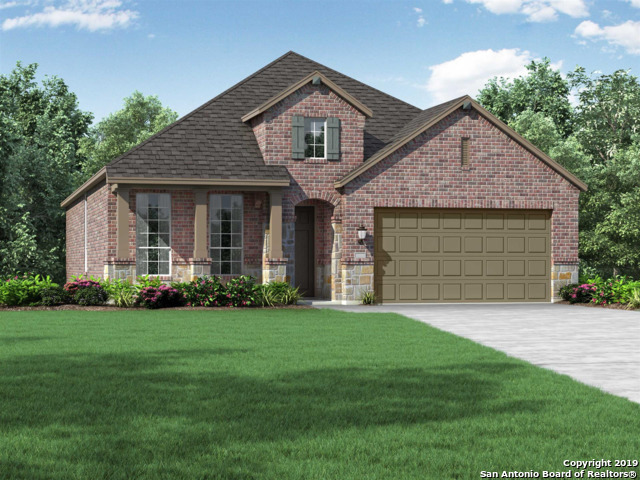 "MLS# 1371829 - Built by Highland Homes - June completion! ~ Single story home, 3 bedrooms, 2 full 1 half bath, Study. Upgraded cabinets and granite in kitchen. Bay window in master bedroom. Wood look tile throughout. Extended outdoor living..."
"MLS# 1375904 - Built by Highland Homes - June completion! ~ Charming 1 story home wa stunning bay window in the dining area! This kitchen has beautiful white 42 inch cabinets to compliment a gorgeous curved silestone island. Wood-look tile can be found throughout along w11 ft ceilings. Upgraded master bathroom, plus a box bay window in the master bdrm for additional natural light. Full sod, sprinklers & tankless water heater." "The Kisko's versatile floorplan offers a large family room, flexible living space, spacious bedrooms, and upstairs game room. Additional features include 17x17 tile throughout first floor, separate garden tub and shower at Owner's Suite, and 42 grey cabinets and granite at kitchen. Fully landscaped yard with sprinkler system, 3 side brick exterior, 9 ft. ceilings and covered back patio. 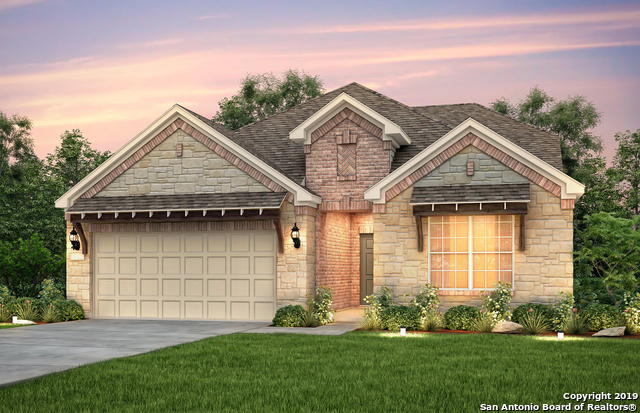 The Home includes the backbone for the Pulte Smart Home. Please contact onsite sales counselor for more detai"
"The Granville features a first-floor owner's suite with private bath and walk-in closet, plus three additional bedrooms and a game room. 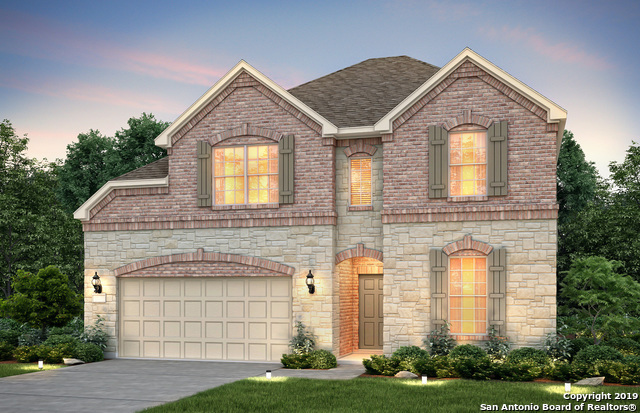 Additional Features include a formal study with wood flooring, 17x17 tile flooring in downstairs living areas, and granite counter tops in kitchen. As well as separate shower and garden tub with tile surround, a covered patio and 9 Foot ceilings. Home includes the backbone for the Pulte Smart Home. Please contact an onsite sales counselor for more details."